We will probably also use the high speed camera to see the impact of the foot on the ball. Alright so we started the project out by taking a high speed video Eric kicking a couple footballs. Using the above video. We took the data that we got out of the tracker program, and used that data to find velocitay. It was a pretty easy equation V=D/T so i took the distance in the x direction and the distance in the y direction, squared each and added them together and took the square root of the answer to find the real diastance. The equation is x2 + y2 = h0.5. You might recognize this equation because it is the pothagoreum therom. We after we found the distance for both the leg and the ball we simply divided by the time and got the velocity of Eric's leg before the kick was 8.77m/s and during the kick the velocity was 7.454m/s. The ball's velocity was 20.867m/s after Eric kicked it. Next we found the acceleration this equation was A=Vf - Vi / T. So we took the velocitys we just found from above and divided them by the times. The before the kick leg had and acceleration of 70.726 m/s2 and during the kick the leg had an acceleration of -109.667 m/s2. The ball had an accerleration of 434.73m/s2. Now we need to find the force. First we found the force of the ball. The equation for force is F=M*A. For the ball it was a mass of .43kg multiplied by the accerleration of 434.73m/s2. That got us the answer of 186.934 newtons. For the leg it was a little harder becuase we didn't have the mass of just Eric's leg but we used the link Mr. Dickie gave us with the different percentages of body parts and found out that a leg is about 20% of the whole body. So we first multiplied Erics mass of 80kg by .2 and got the leg mass to equal 16kg. From there it was simply pulg the numbers in to the equaltion so the force of Eric's leg before the kick was 1131.61N and during it was -1754.67N. The next piece we found was momentum and impulse. 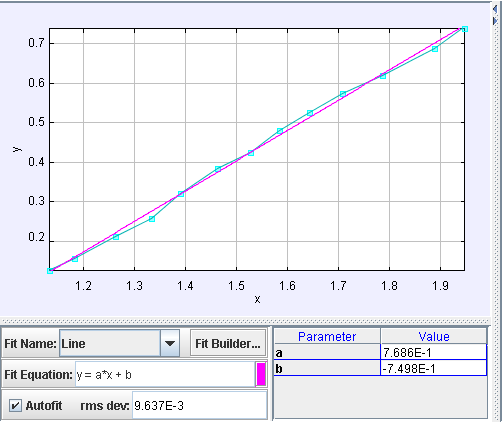 The momemtum equation is P=M*V and the Impulse equation is I=F*T so we already figured all these parts so it was more pulging in the numbers. The momentum of Eric's leg before was 140.32 kg m/s and the impulse was also 140.32 kg m/s. 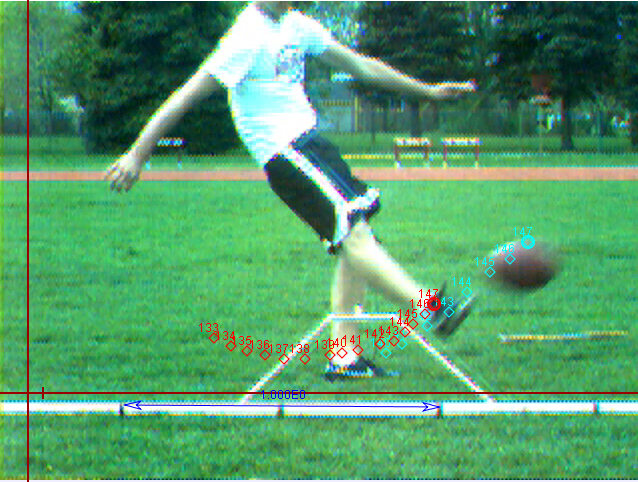 The momentum during the kick was 119.26 kg m/s and the impulse was -1.316 kg m/s. For the ball the momentum was 8.973 kg m/s and the impulse was the same. The impulse was the same for the before kick and the ball because impulse measures the change in momentum. For both the before kick and the ball, the momentum at the end of it was equal to the change in momentum because they both started with 0 momentum. These are the graphs that represent to data tables above it. 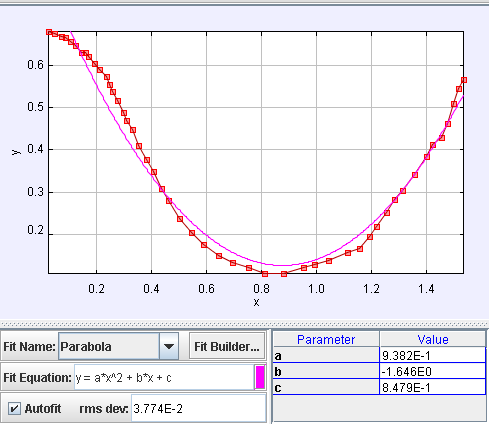 The first graph goes with the data from Eric's kick and the second graph is for the data from the ball.